Winter - At times it seemed as if the Winter of 2014 would never come to an end. The Great Lakes had record levels of ice coverage and it took well into the Spring before it was gone. The harsh condition didn't leave much room for getting on the water. Shiver on the River! 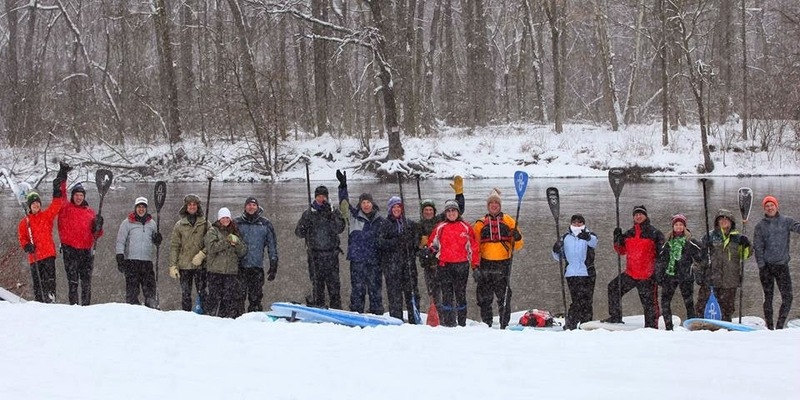 Organized by The Outpost of Holland, a group of almost 20 people found some open water on the Kalamazoo River on New Years day. While the temps were cold (hovering around 10*), the two fires and great company made for an awesome way to kick off the year! Spring - The ice and cold continued into the Spring for many locations as we kept waiting for things to warm up. Much of my time was spent researching some new gear purchases. New Gear!!! I got a new SIC Bullet 12'6" and a Quickblade Trifecta paddle and tried to get out as much as possible...they are both amazing btw. 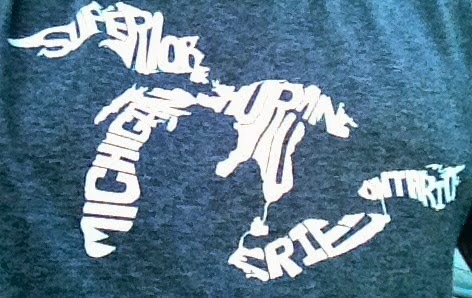 Summer - Summer in the Great Lakes...nothing like it! Vacation! I'm lucky enough to be able to take a lot of vacation during the summer...4 weeks to be exact. It seems that over the past several years, this time has always included tons of paddling...as it should. Lake House - our family rents a house on a great inland lake (actually 4 interconnected lakes) and I was able to paddle for hours each day. Waves - I took half of July off and the conditions couldn't have been better. Warm water, sunshine, hot weather, and waves made for a perfect combination. Great seeing my wife catch some waves! My wife joined me and some friends on her first downwinder on Lake Michigan...great time and she did awesome! BIC SUP One Design Challenge on Green Lake - the kids first race and they did great. I was lucky enough to win the men's race...but to keep it in perspective, this race was small and none of the top racers were there. 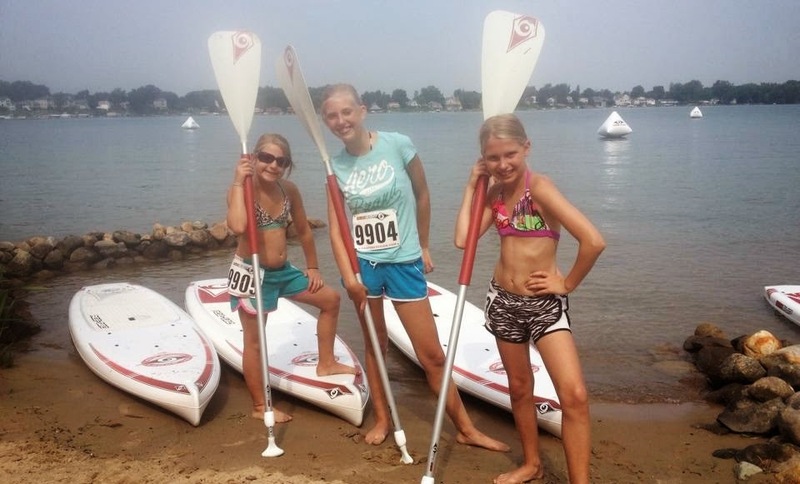 DetroitSUP Festival - first time for me at this event and I was impressed. Pretty well organized and the best race shirt yet. Kids raced this one too and had a blast. TCWaterman Challenge - great venue, but the weather wasn't great and the event organization leaves a lot to be desired. I managed to place 2nd (age group)...an improvement over my 3rd last year. The highlight for me was watching two of my daughters battle it out in the challenging kids race! Found a couple new SUP spots only minutes from my house...no crowds and easy access on the busiest of weekends! 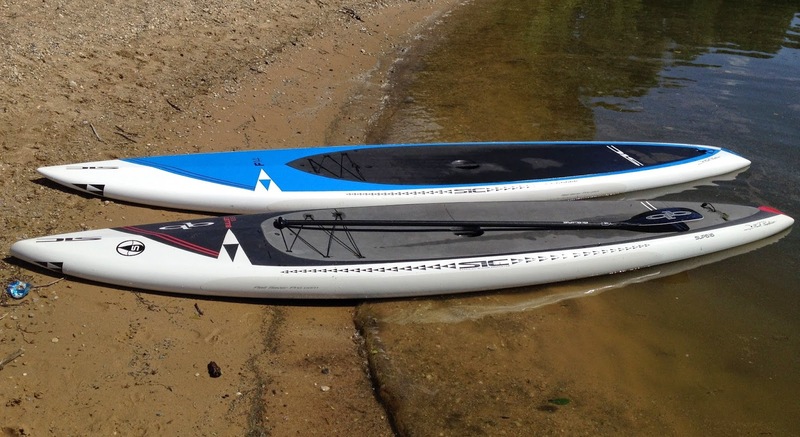 Check out verticaloar.com for an awesome interactive SUP map. Had a few group paddles, but not as many as I would have liked...this will be a focus for next year for sure! 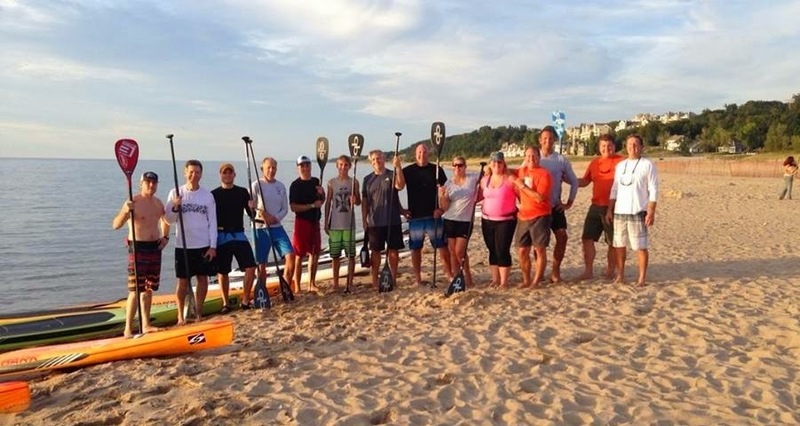 Great Lakes Challenge - I was looking for something fun to do for a couple of days, so I decided to SUP on (and swim in) all 5 of the great lakes in a single day. More of a driving adventure more than anything, but I was able to see a lot of great places that I haven't been before and it's something that I don't think anyone else has done. Read more about my adventure here. Fall - We had some great weather this fall and made it possible to have some awesome warm weather paddles well into October! Had a couple of surprisingly warm paddle days well into November...t-shirts and boardshorts! So what's on tap for 2015? My focus is going to be on having as much fun as possible. I don't see myself doing many races (see future post), but plan on paddling more than ever. 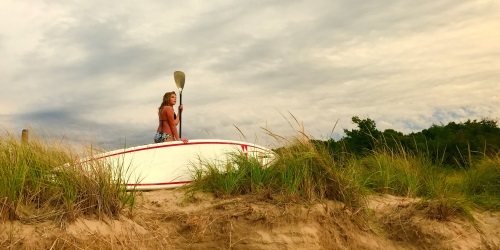 Look for more shout-outs for group paddles (maybe even a regular weeknight thing), more cool locations, and the possibility for an epic adventure is always a possibly. I hope all of you had a great 2014 and I'm looking forward to seeing you on the water in 2015! Great wrap summation of the year Dave. I ALWAYS enjoy paddling with you and Lisa. Hopefully we can chase some more, SERIOUS downwinders next year. My son is very excited to join us. 2014 in the books...great summary. We are really looking forward to 2015. New Year's resolution definitely more group paddles!